Only having an hour I was a bit miffed with all the woofers this morning, so came home until they had all gone. Half an hour left on the clock Tom opened the back door again, no noticeable woofers and I was off. I still needed to check out what those deer had been up to the other day, so headed off down the field. How time flies when you are looking for friends, there was so much friendly cover to check I was being kept very busy. She came calling. But I was still busy, so much more to do! 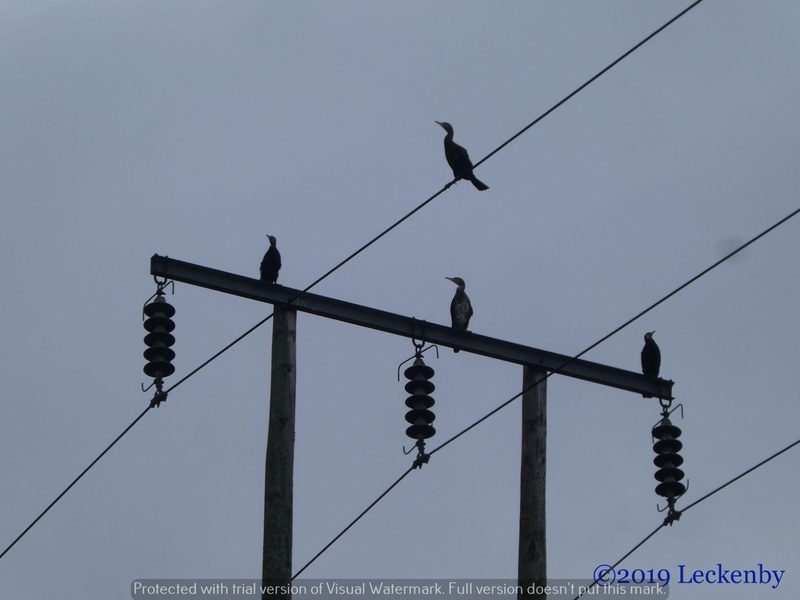 The calls kept coming and coming until there was no chance of finding any friends, so I relented and stuck my head up above the field. It took quite a while to get back to Her. Then there was one of those pesky fishermen talking to Tom, putting really fat legs on. 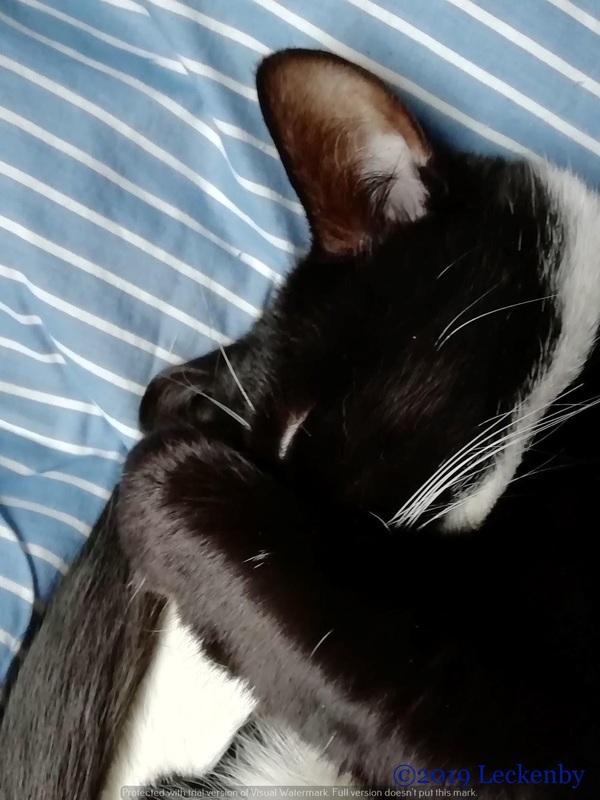 I wasn’t going to go anywhere near him. Eventually he went off with his big sticks and a game of stones was had before She rudely picked me up and passed me over to Tom on the boat. I was about to get left in this outside if I hadn’t come home. They wouldn’t do that to me would they?! We were all ready for the off once the second mate was locked inside. Today we’d wanted to get a good days cruising under the bow, at least we’d only lost half an hour, I suspect it could have been longer! Haddlesey Lock needed setting as paddles at both ends were lifted to help keep the pound topped up, but we were soon through it and turning out onto the Aire to wind our way back upstream. 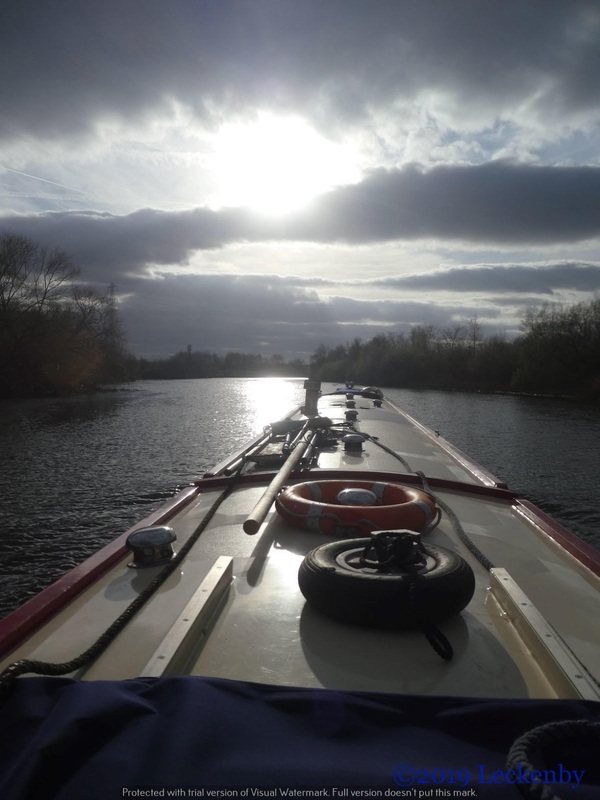 The weather had meant to be really good today, but it was cloudy and quite chilly out on the river. 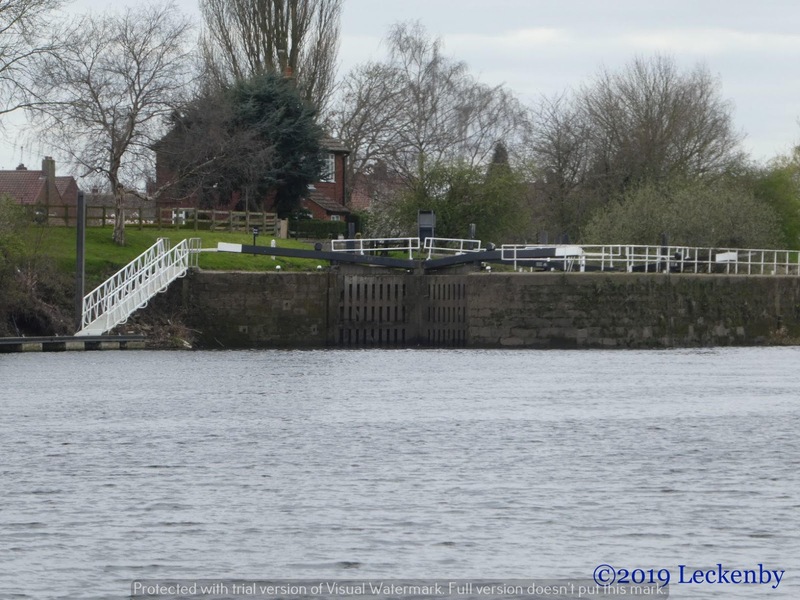 The top gates at Beal Lock were a touch obstinate again, not wanting to close. But with the assistance of the paddles and extra shoving they came together in the end so that we could make our way up, only to do the same as we left. 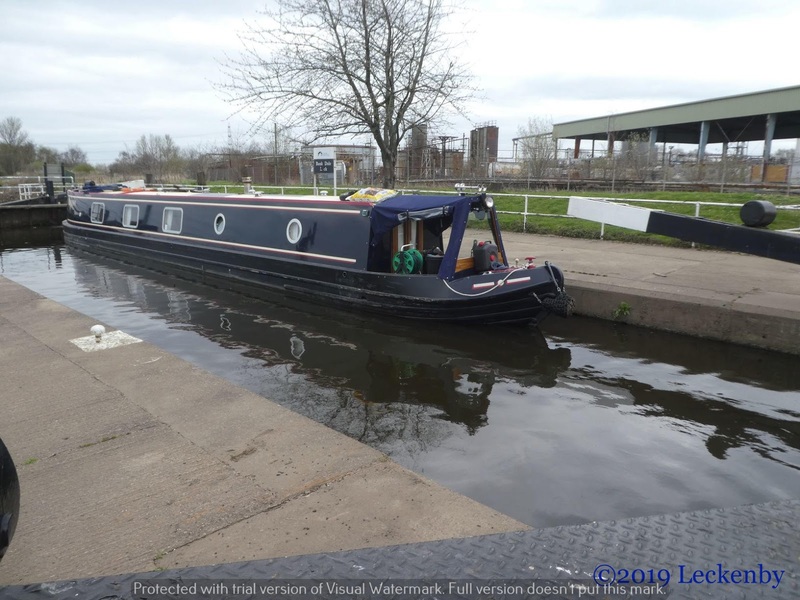 Here we paused on the pontoon to empty the yellow water tank and have some lunch before heading onwards. 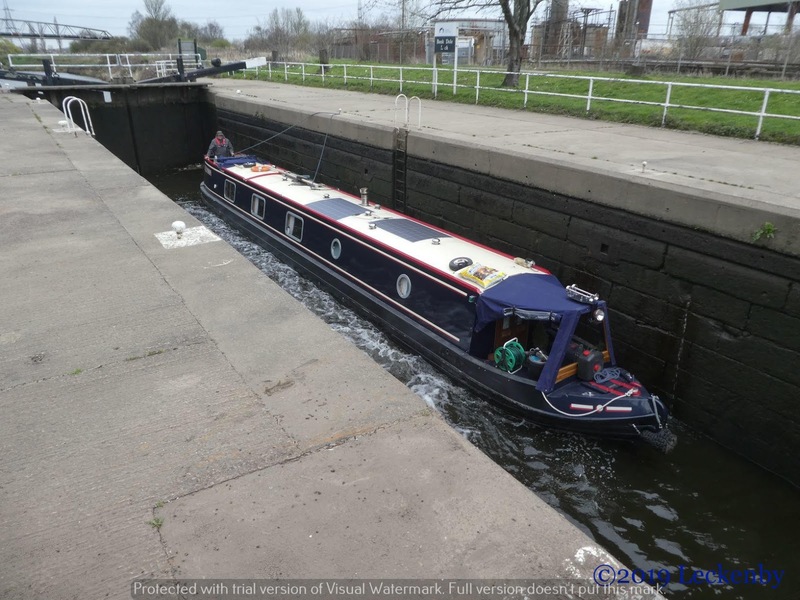 To our surprise Bank Dole Lock was full with the top gates closed. The boat I’d let through the swing bridge in Selby must have filled it, maybe they had only just gone through, or spent all night filling it!. We emptied it whilst trying to help a cyclist who was asking for directions to York (we only know it by water so couldn’t help much). 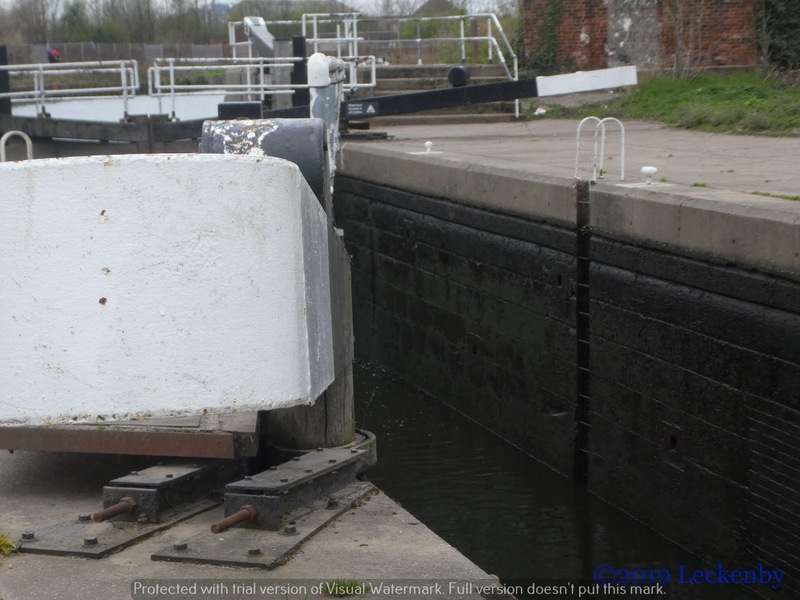 The gates take so much to move them on this bloomin lock and then with only one paddle working! It took getting on for half an hour to fill it, but at least it got there in the end. The wind then caught us and made getting off the side very hard. With the overhang here Mick didn’t want to use a reverse Andy move as that might have trapped the stern under it. So pushing out the stern, blasts on the bowthruster. In the end we got away but sadly something must have got inside the bowthruster tube, we’ve a blown fuse again! We so don’t like Bank Dole!! 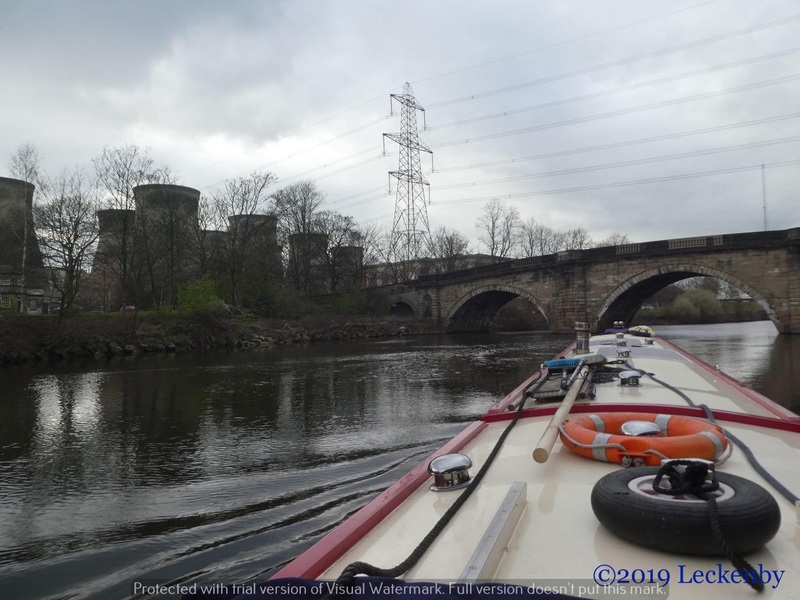 We pootled along back to Ferrybridge Lock. Here the levels have equalised since the floods and we were able to go straight through the flood lock. 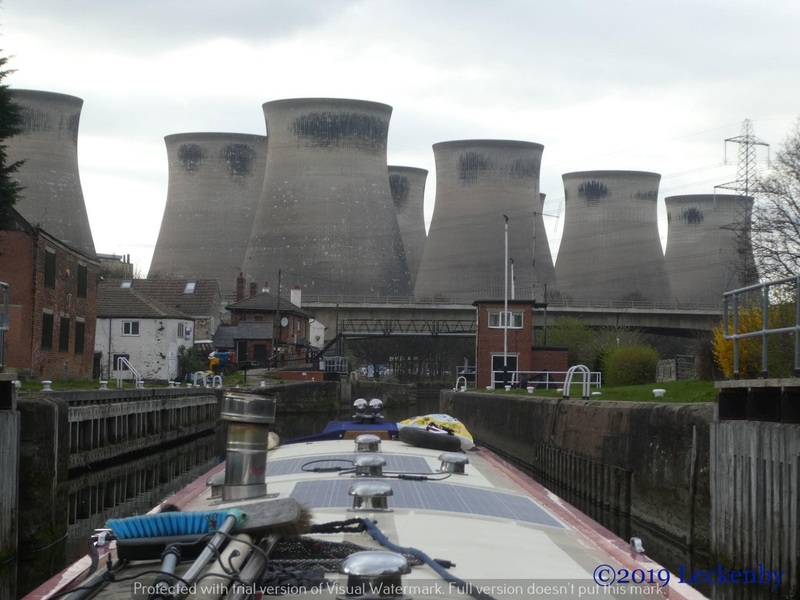 Cooling towers straight ahead, only to turn under the road bridges before we bumped into them. The very first bridge here was built in 1198 an important crossing. Ferrybridge Old Bridge was designed by John Carr in 1797 (he established my Dad’s architectural practice in York) you can see many of his bridges around the north of England, this one is Grade 1 listed. 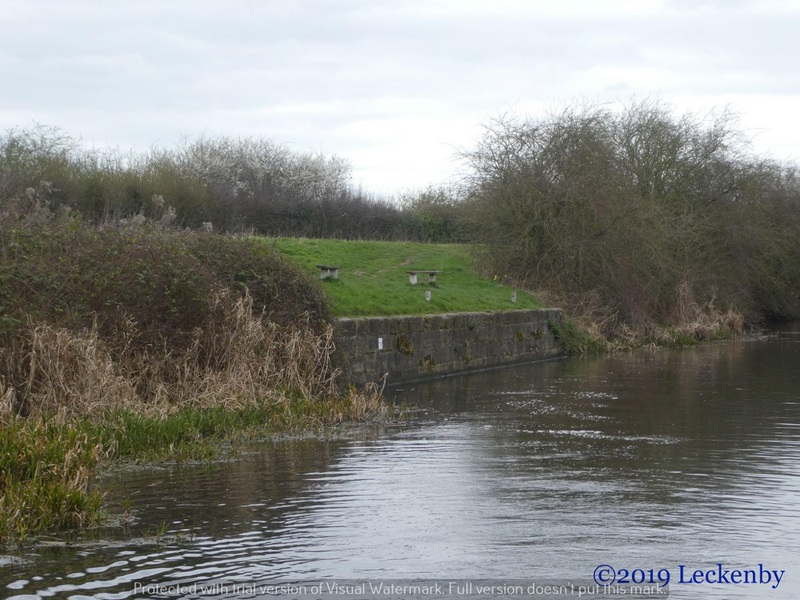 It carried the Great North Road across the Aire. The next bridge to be built dominates the view as you leave the lock was built in 1967 to carry the old A1, now the A162. Further along is the new A1M road bridge bigger, higher, wider than it’s predecessors and further away from the cooling towers which opened in 2006. 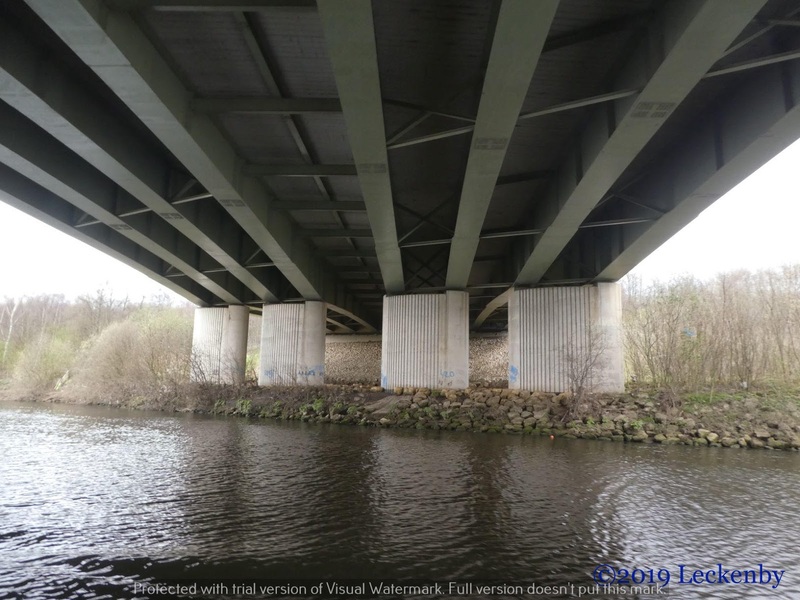 During my childhood and early driving years Ferrybridge was where you turned onto the M62 to head to Manchester, so those towers mean a lot to me. 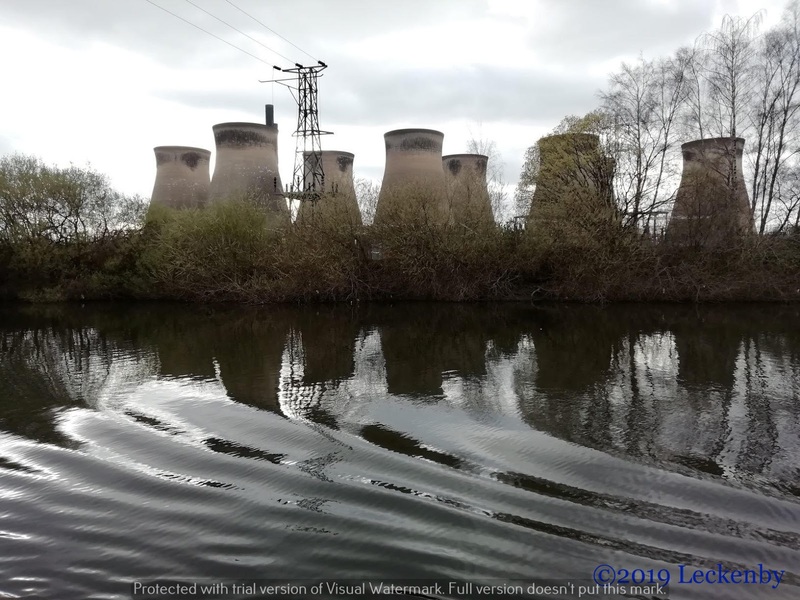 The power station sits alongside the river, the cooling towers no longer in use. The wharf where coal used to be taken from boats still stands, diagonal covered conveyors crisscross the view. Then as if they’d never been there the towers vanish out of view. Time to say farewell to the Norf. Getting on for an hour and a half the next reach of the river broadens, old industrial sites now greened over, the occasional basin off to the side. At Fairburn Railway Bridge chaps were erecting a mass of scaffolding. 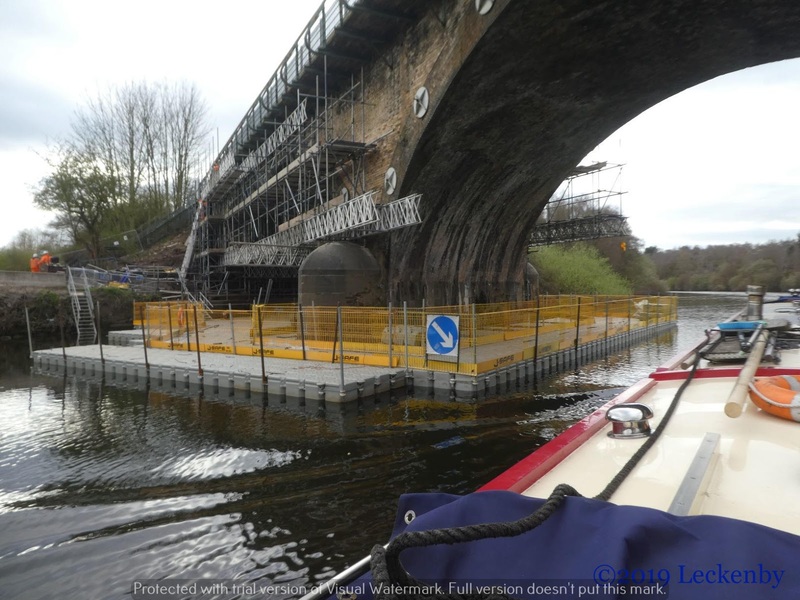 Huge pontoons surrounding the bridge on both sides leaving enough room for boats to pass through. 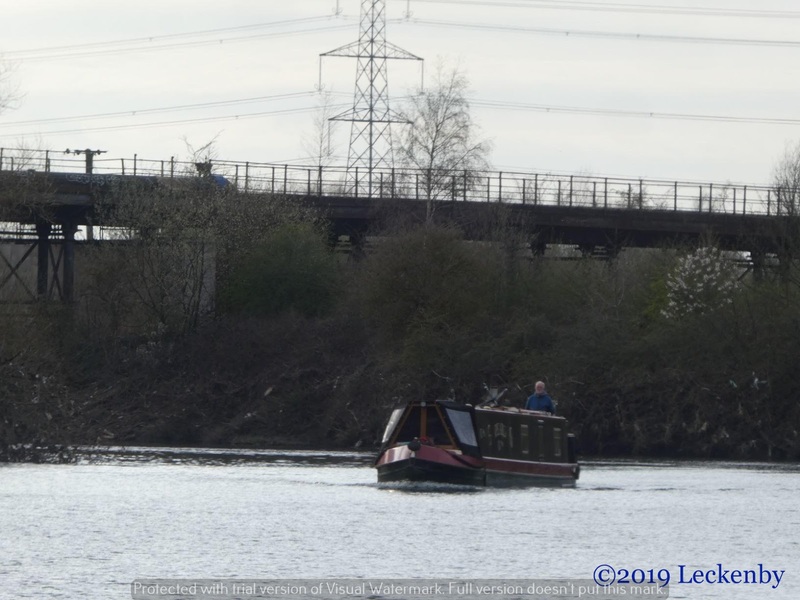 NB Pearl came past as we approached Bulholme Lock, the only boat moving today. 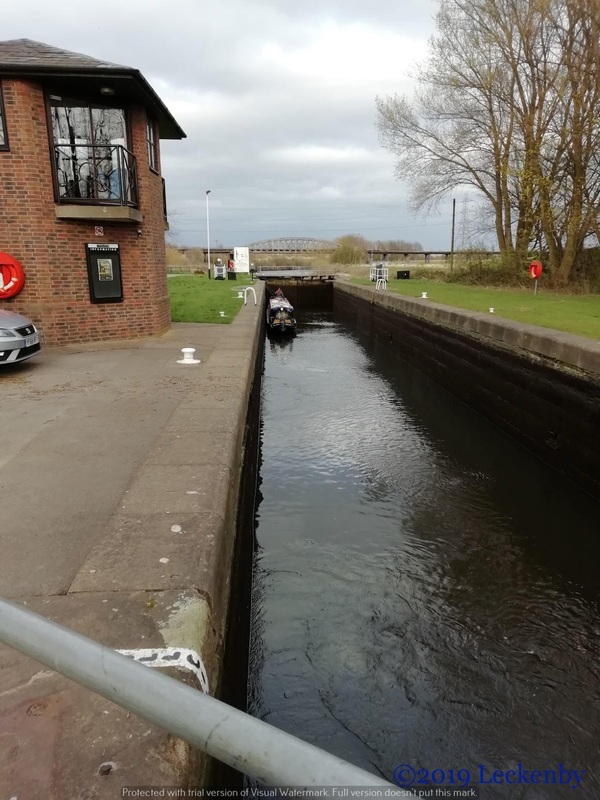 Despite the lock being almost empty it took some time to level out with the river. 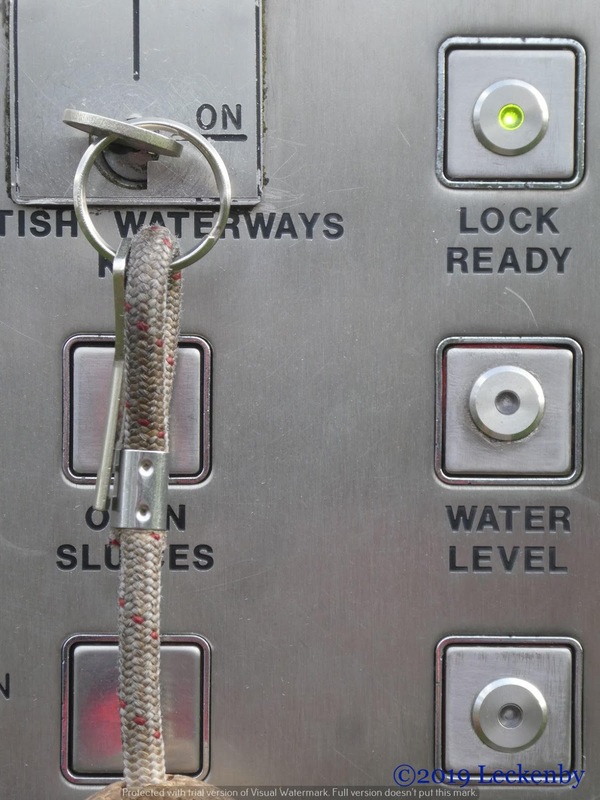 The panel here has lights so you don’t have to guess when the water is level. One mental note for next time, the sluices all open on the starboard side as you come up, so it might have been better to pass a rope up on the port side as that is where Oleanna wanted to go! 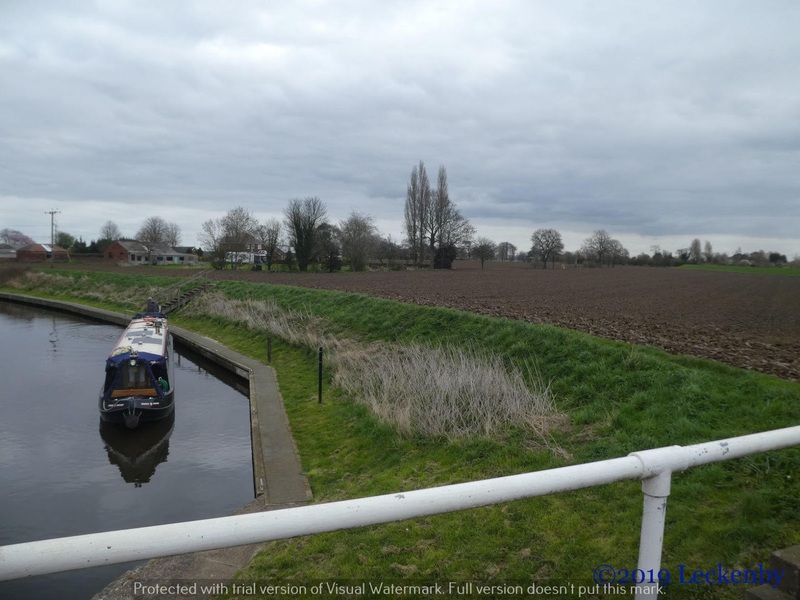 Numerous boats lined the cut, including Freda Carless we’d seen at Pollington. luckily there was a gap where the side is low, making getting on and off easier. A quick look round and we decided that here was not suitable for cats, we’ll move on tomorrow to find somewhere better for Tilly. 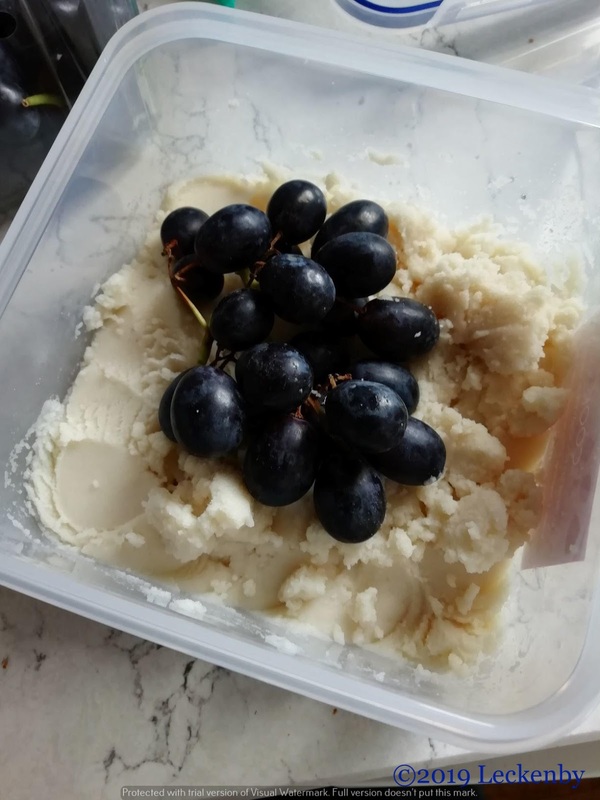 With my organic grapes I started my sour dough starter, a thick sludge that I hope will become more fluid over the coming days. It’s been put on my proving shelf to keep warm ad out of Tilly’s way. 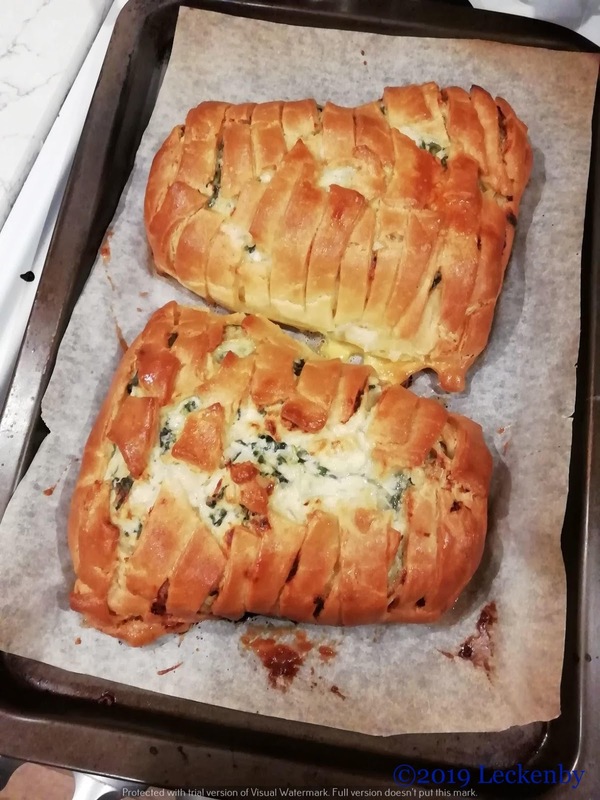 Then with some of my GF pastry I made us a couple of Salmon en croute. Duncan, it was very tasty! We’ve still got the other one to enjoy in a day or two. This evening we have finally made the decision to move the blog. There is lots to get sorted before the move, I’m leaving most of it to my IT assistant. We’ll let you know before the new blog goes live and we’re hoping to make the move as easy as possible, we may even be able to move all the millions of words I’ve written over the years so that they are all in one place. 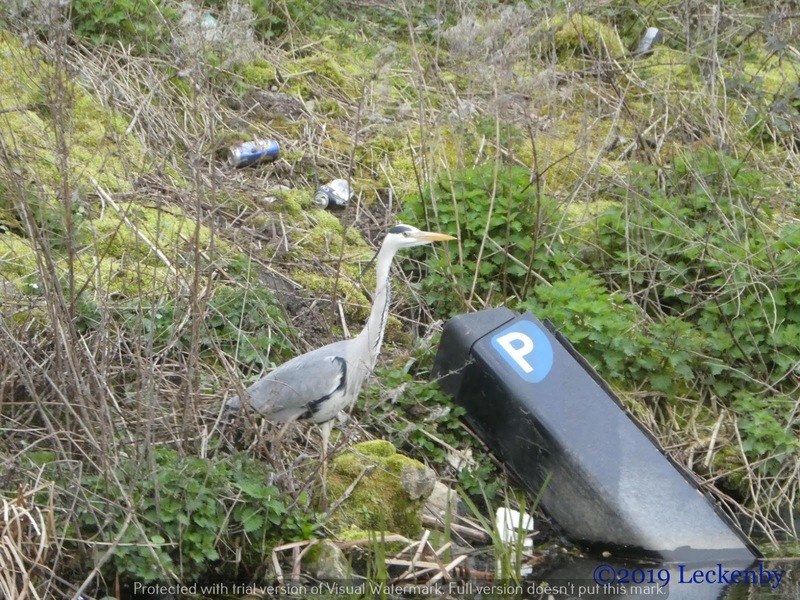 5 locks, 1 straight through, 1 key of power operated, 14.04 miles, 1 proper days cruise, 1 AWOL busy cat, 1 ploughed field, 1 empty wee tank, 30 minutes, 200 amp fuse blown, 1 parking meter, 4 herons, 1 kingfisher, 7 oyster catchers, 1 low sided mooring, 2 yummy parcels of salmon, 1 blog on the move. 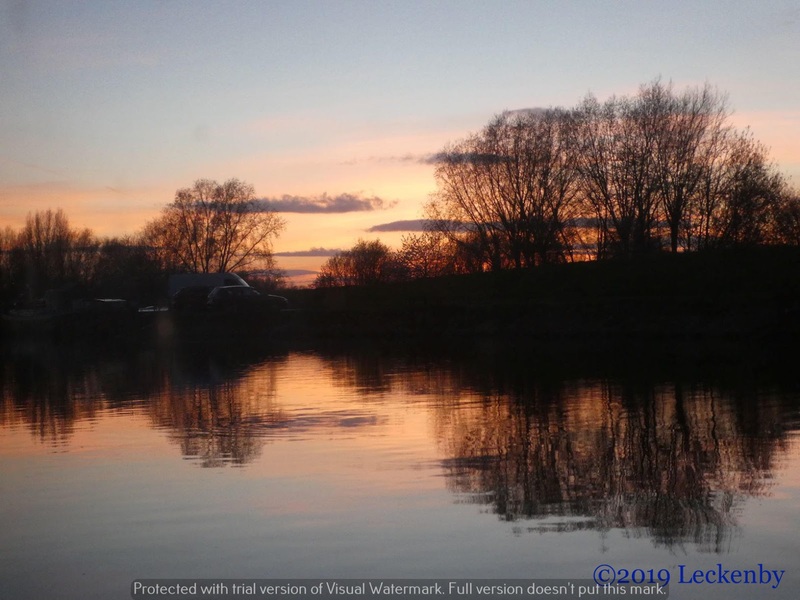 This entry was posted in Uncategorized on 29th Mar 2019 by pipandmick.